We hear issues of tussle between landlords and tenants including litigations. These experiences do happen despite tenancy deals. But if a landlord can act a little wisely all such incidents can be amicably solved. That is all about treating a tenant nicely and does go a long way in saving lots of time, money and ensures a great deal of peace of mind. 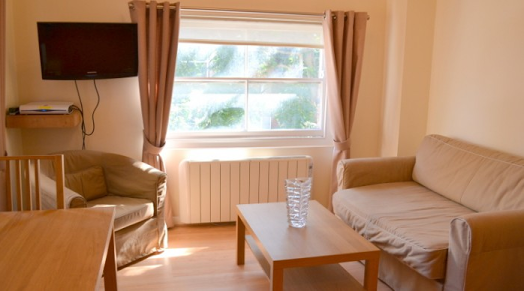 The key to long term rentals London is the individual landlord maintaining the right attitude and being friendly with the client unlike other property owners who may have plenty of lots of properties going into rent and the on-site manager vested with the charge to handle the tenants. The golden rule is–always treat your tenants as if they are the most important people in your life. Conducting yourself in a respectful manner will make your life a lot easier and keep the properties more profitable. Treating tenants fairly will also help in keeping them longer in your property. Advertising, taking calls, interviewing, showing the property, verifying credit reports, drafting tenancy deals, inventory check etc. It is truly a hell of a work. So if you are aiming long term rentals London, the point is to keep the tenants happy as long as possible, by treating them well. That starts by treating them the way you would like to be treated. Keep the rent reasonable to attract a large pool of applicants and get the best credit quality group as good tenants. If problems like a broken water pipe or similar things arise, deal fairly and handle it to the tenant’s satisfaction. Tenants who are punctual in matters of rent are looking after the property well need to be rewarded through marginal rent hikes. By treating tenants well, a landlord always gains. What to Choose: a 2 Bed or 3 Bed Apartment? What’s Better, Property Inventory Agency or DIY?